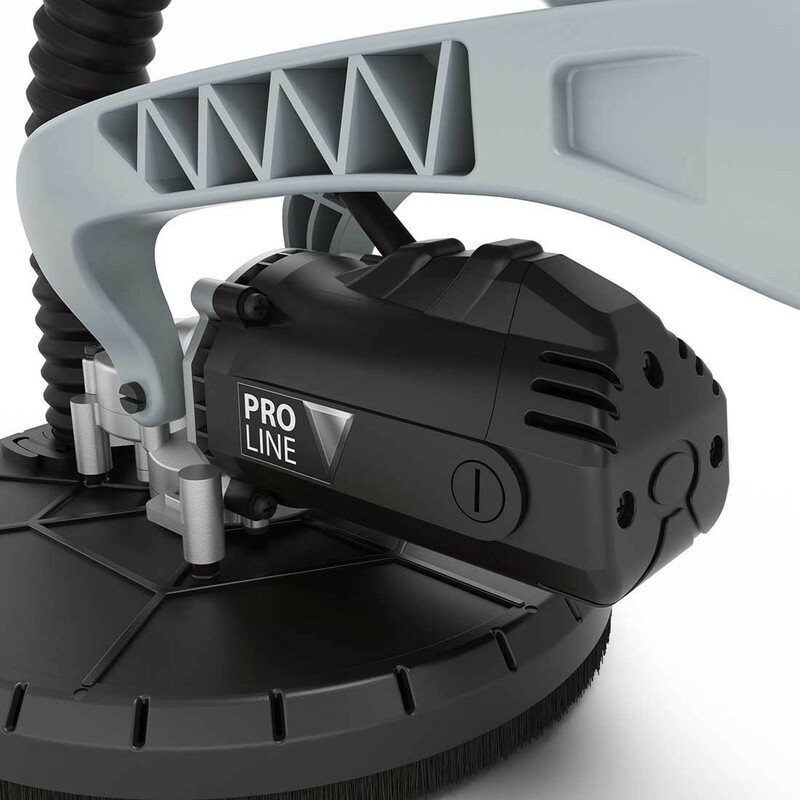 Multiple nozzle attachments for floors, crevices, etc. 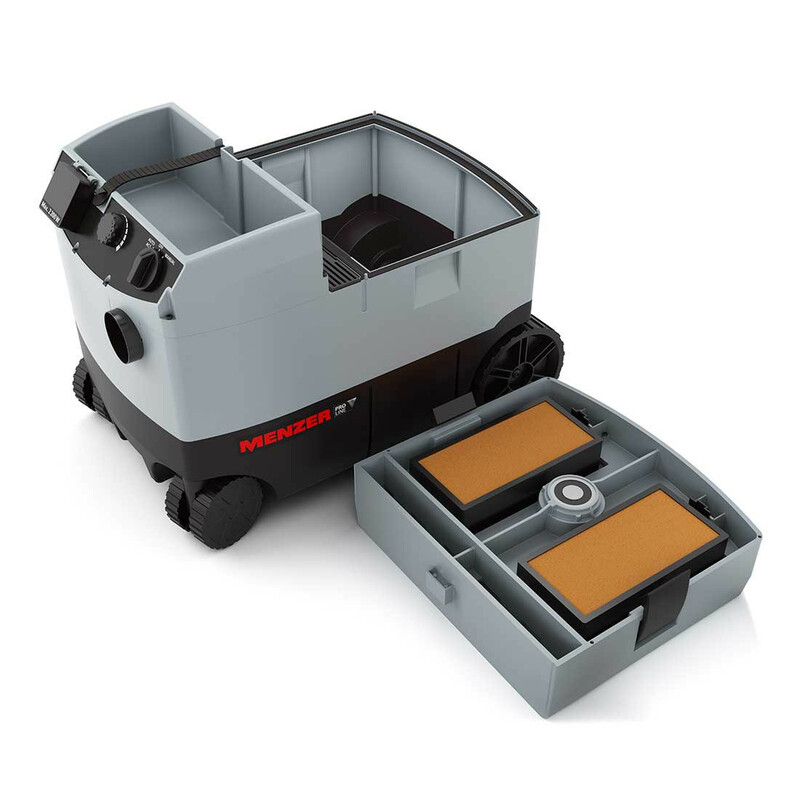 The MENZER VC 790 PRO industrial vacuum cleaner is a highly versatile wet and dry vacuum cleaner and an ideal companion on any building site. 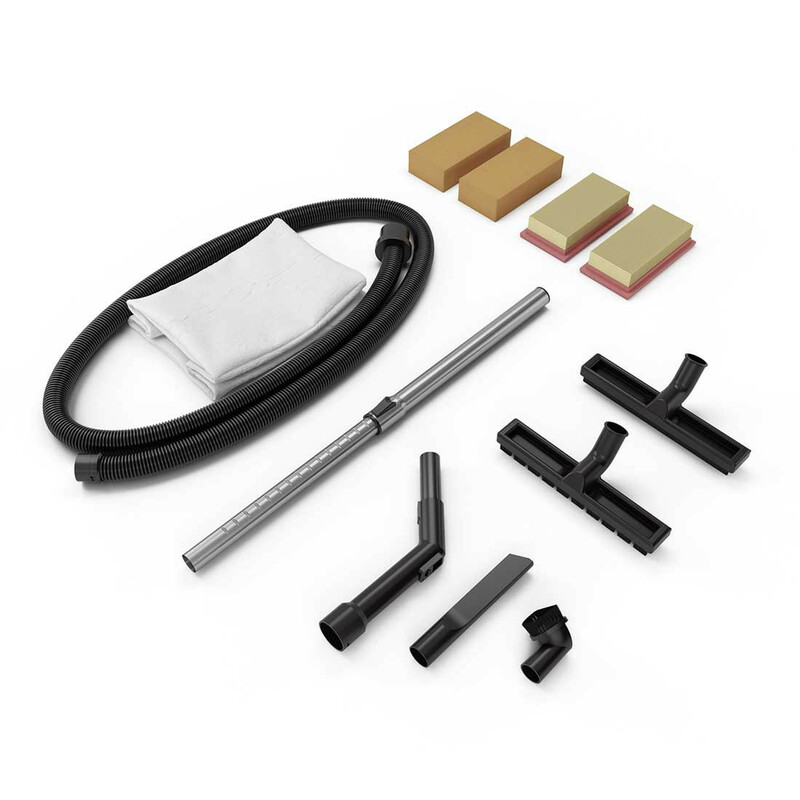 It was designed specifically for continuous professional use in drywall and renovation work and for general cleaning. 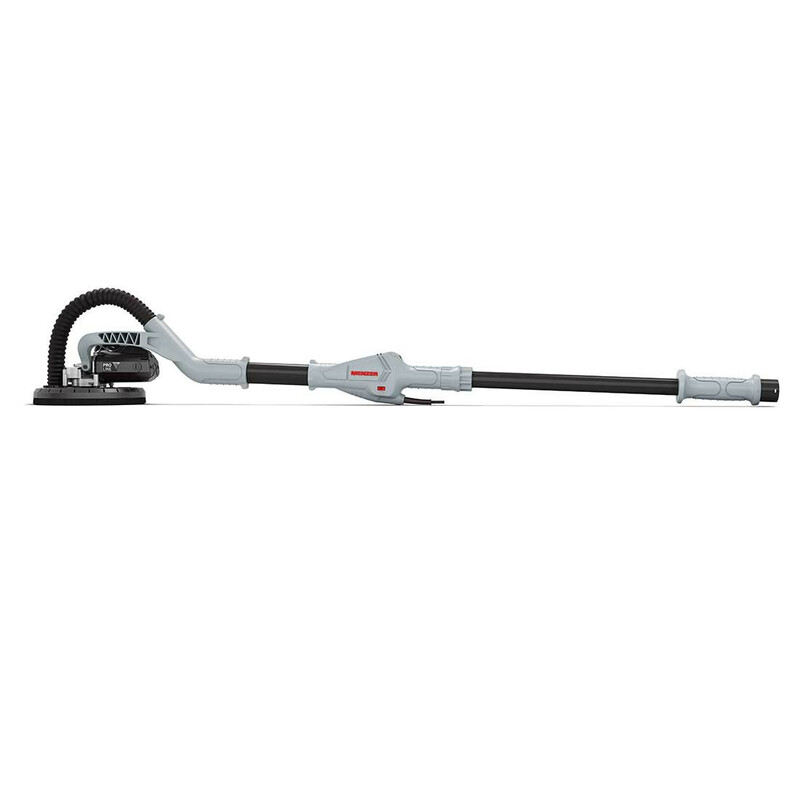 This professional industrial vacuum cleaner features a powerful 1200 W motor with stepless output adjustment to match any cleaning task. 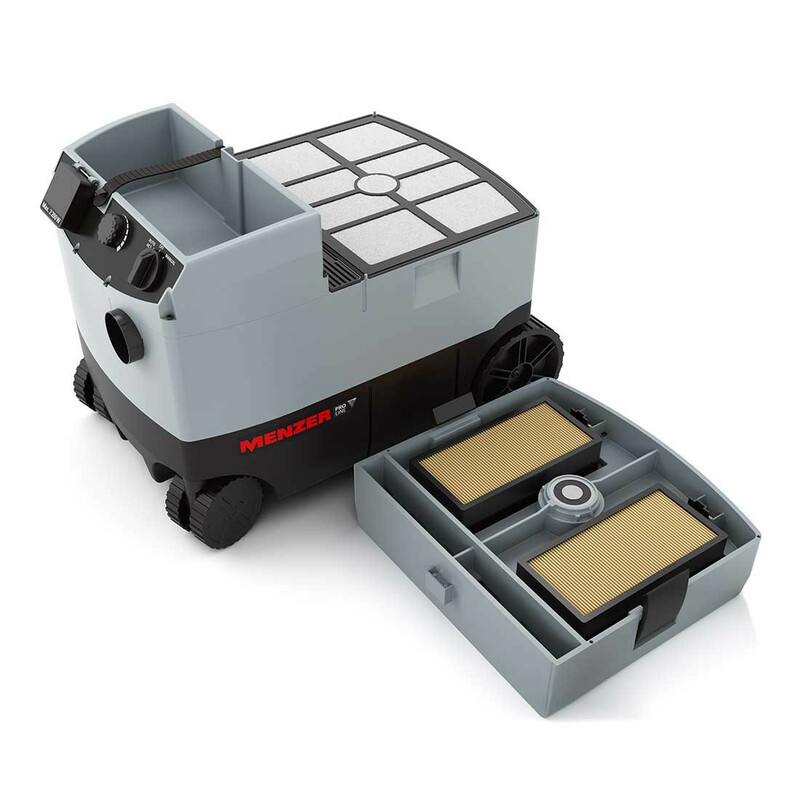 The MENZER VC 790 PRO comes with large area flat filters and an automatic filter cleaning system (vibration system). 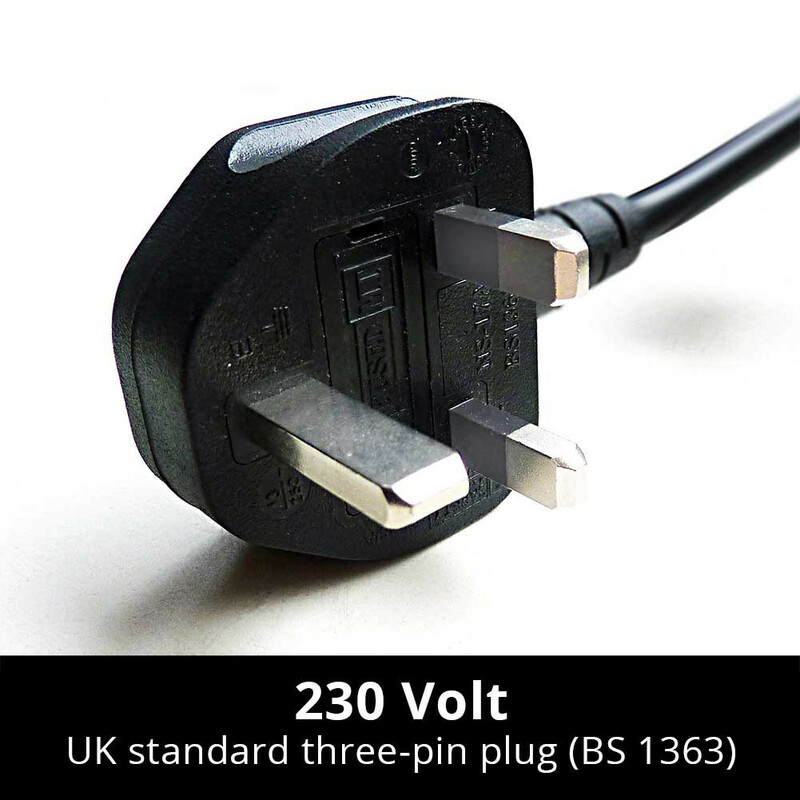 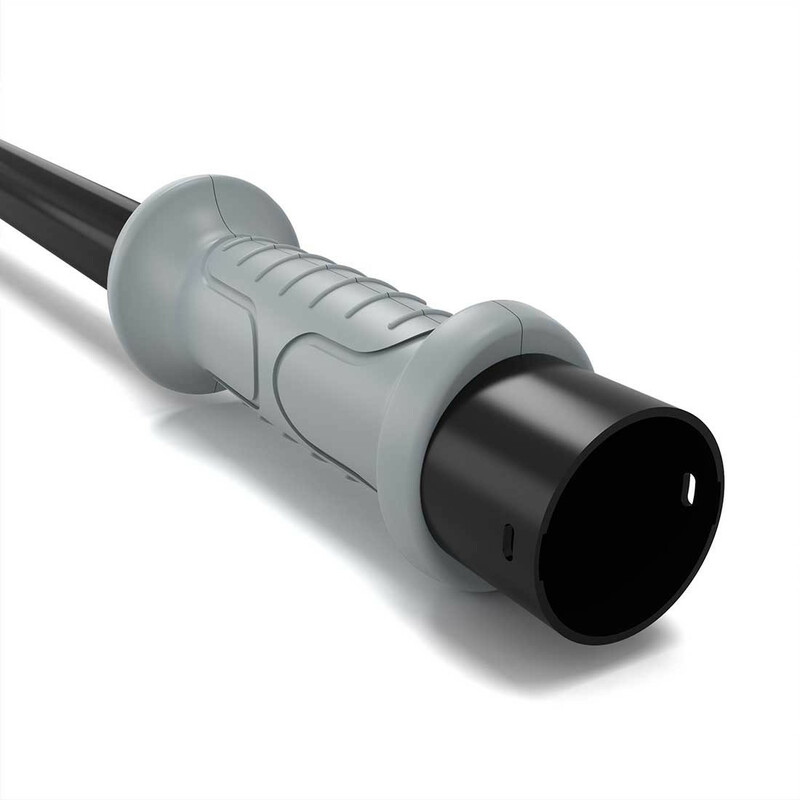 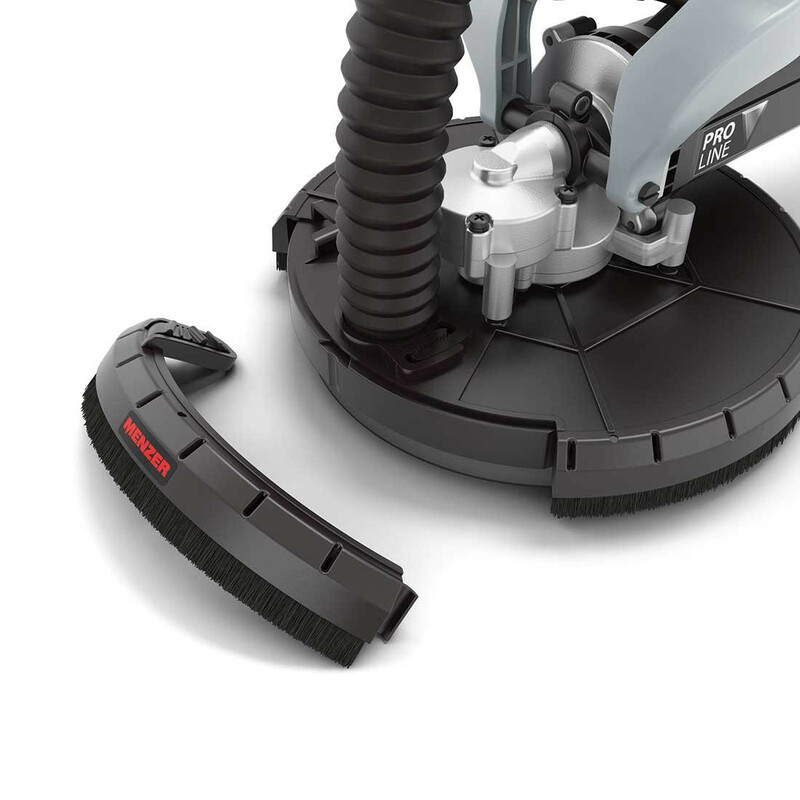 It allows uninterrupted and constantly high vacuum performance for increased work comfort. 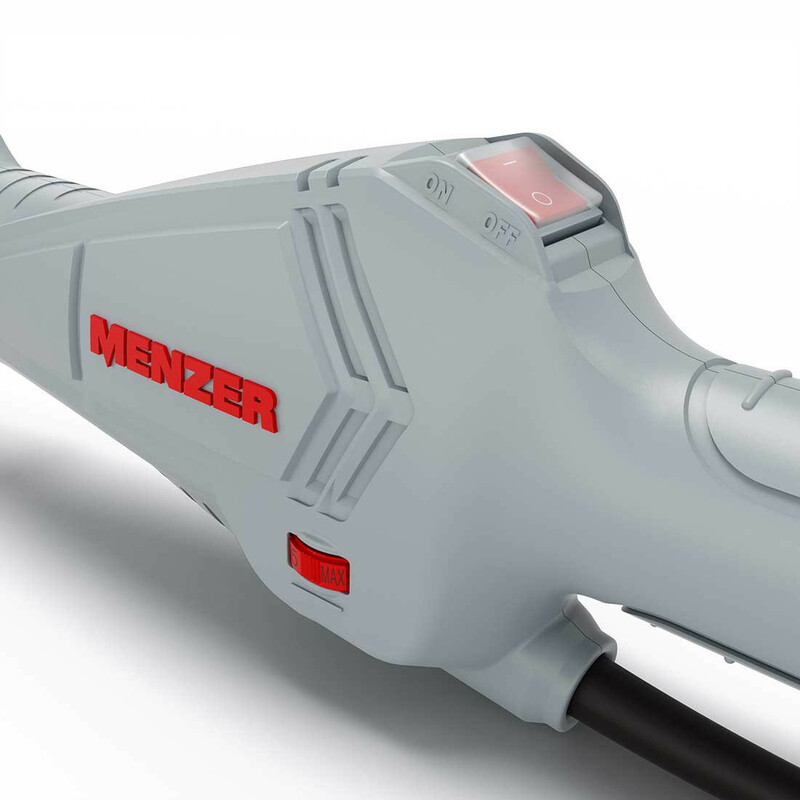 The MENZER VC 790 PRO wet and dry vacuum cleaner comes equipped with a power socket with automatic ON/OFF control to connect power tools up to 2200 W. The auto-start feature starts and stops the robust industrial vacuum cleaner when the connected power tools are switched on or off. 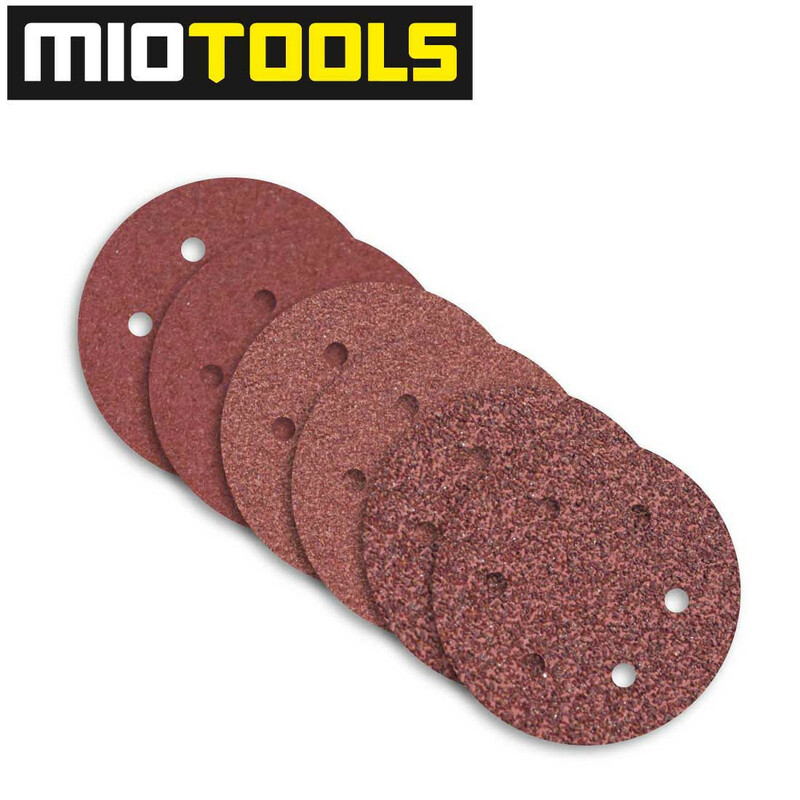 The automatic shut-off delay of 15 seconds ensures a high degree of safety as the remaining sanding dust is removed after the sander has switched off. 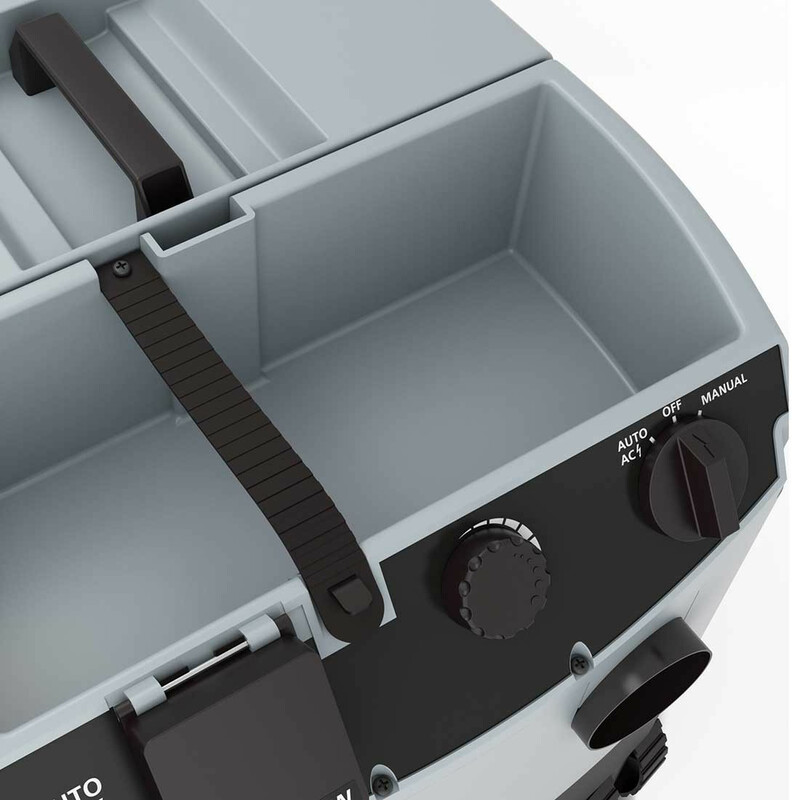 The practical blower function can be used for cleaning the sander after use. 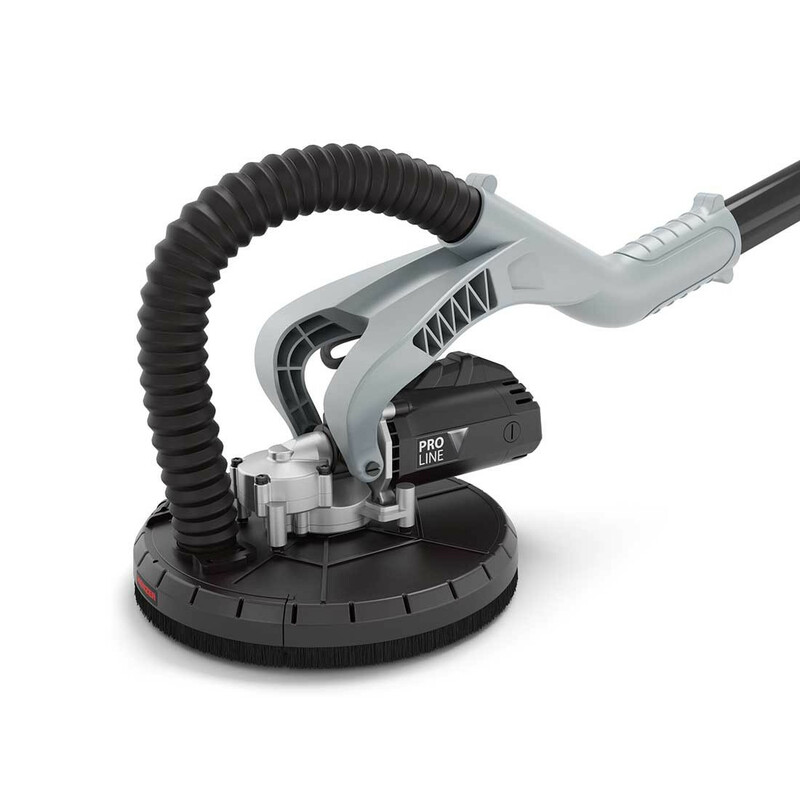 The VC 790 PRO comes with an electronic fill level monitor when used as a wet vacuum cleaner. 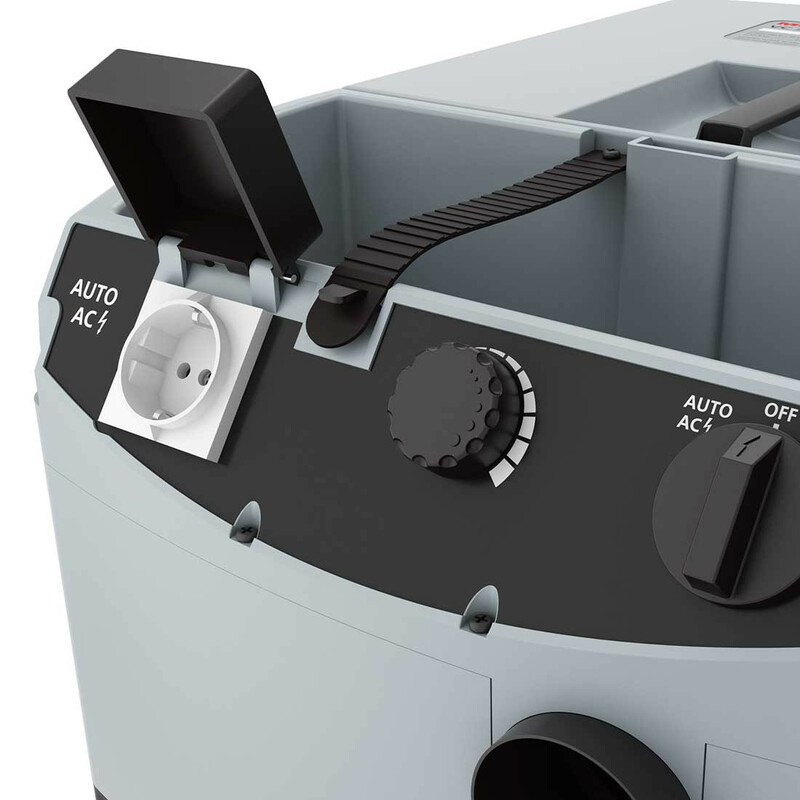 It reliably shuts off the machine, once the maximum fill level is reached. 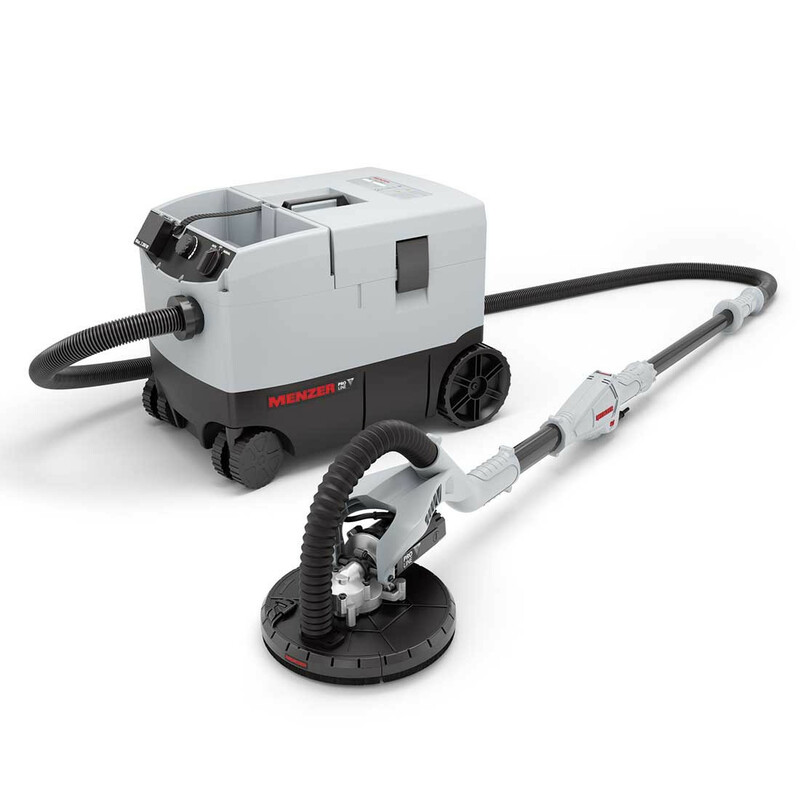 The VC 790 PRO comes with a reusable, easy to clean non-woven filter bag for dry vacuuming or for the extraction of sanding dust. 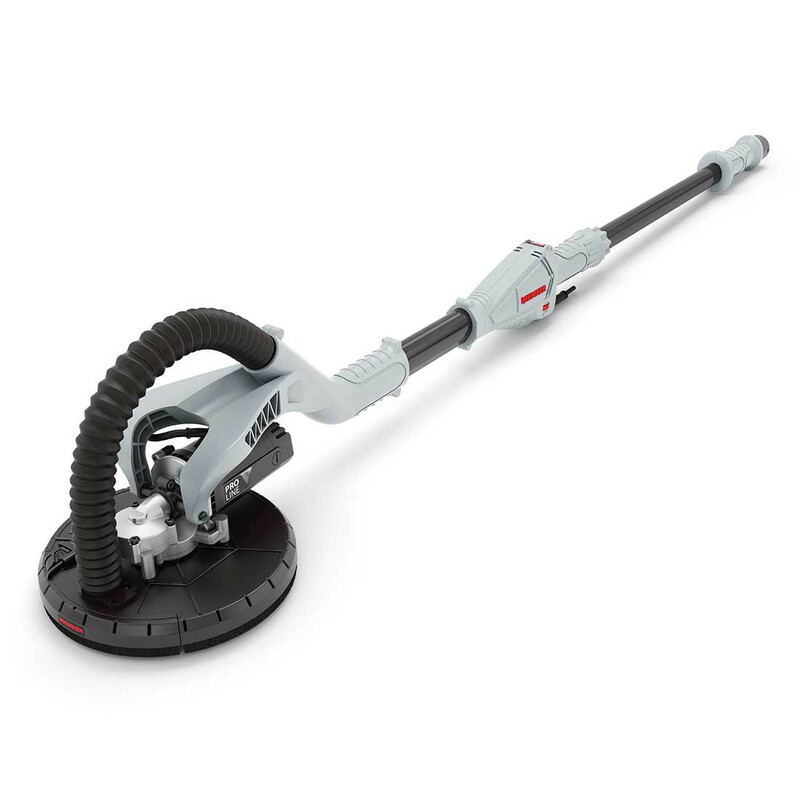 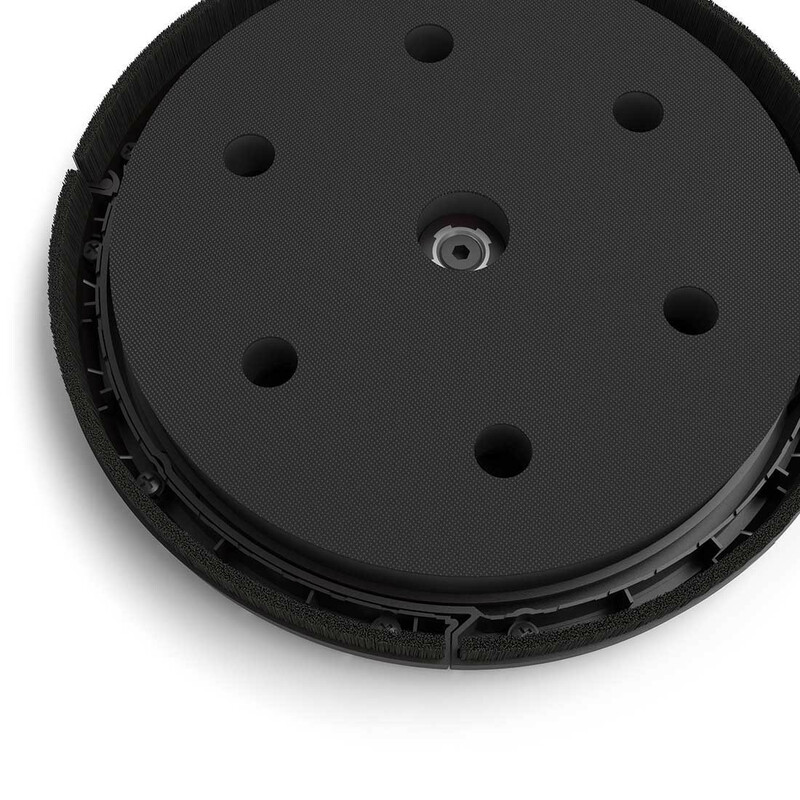 The industrial vacuum cleaner is designed with an easy to clean, impact-resistant plastic housing. 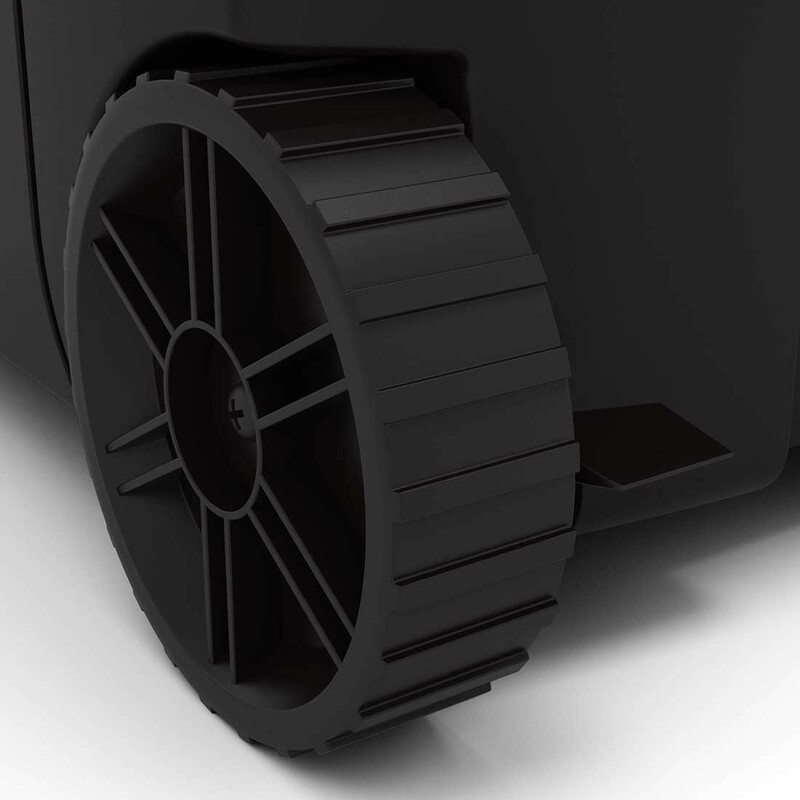 The smooth running casters with arrester ensure maximised mobility. 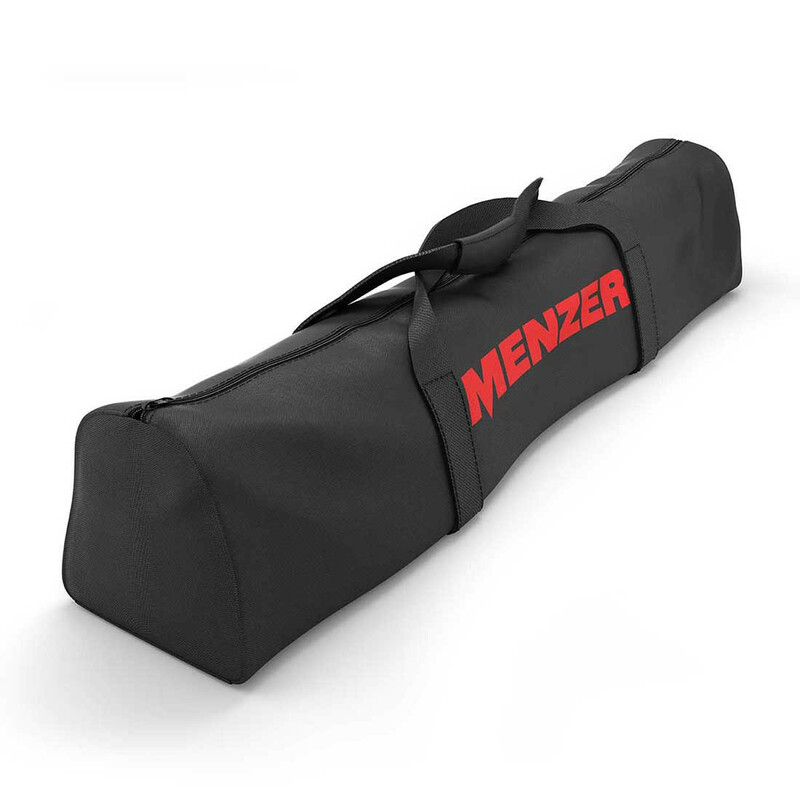 The storage and slotting system keeps tools and accessory at hand at all times.